Module for securing Android tablets and Internet/WiFi filtering. WebKiosk Android is an add-on module to WebKiosk. 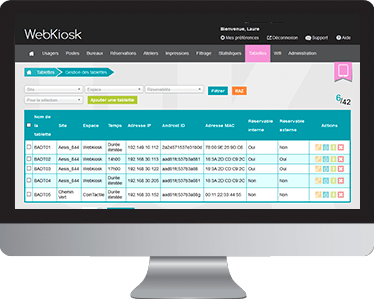 You already have access to Webkiosk features: user management (with or without ILS synchronization), daily and weekly connection times, Internet filtering and statistics reports. 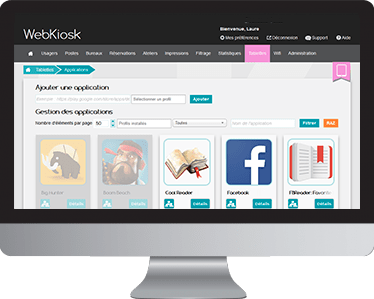 Simply install Webkiosk Android application: your tablets will be instantly secure (forbidden access to system parameters, application blocking, etc.). 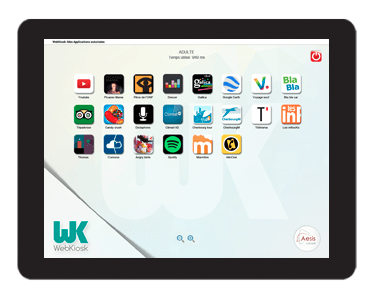 Access to tablet applications requires the user authentication (whether it comes from your Integrated Library System (ILS) or not). If the user has made a reservation, no one else will be able to connect for a certain period of time. Customize background wallpapersWe provide ready-to-use templates allowing you to create customized home screens. No APK management. From the Webkiosk administration interface, you can choose applications among those that are available from Google Play Store©. 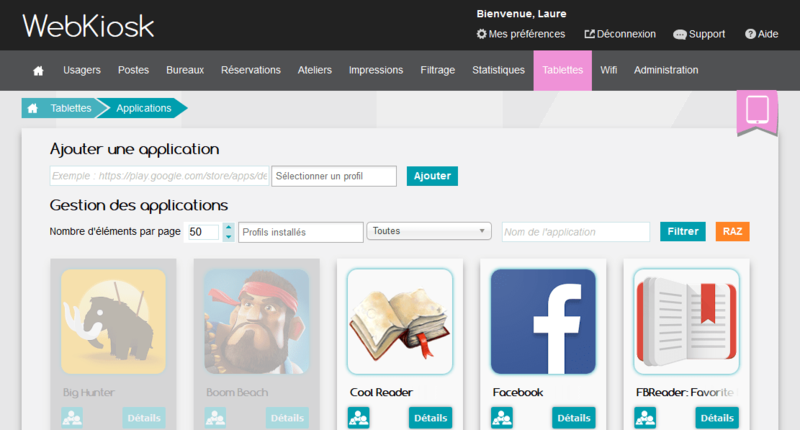 On the same tablet, applications offered to the user change according to his profile. 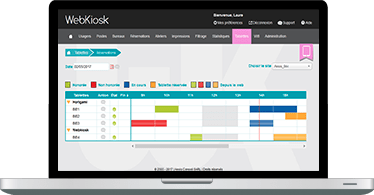 Choose and assign applications to each profile from the administration interface. 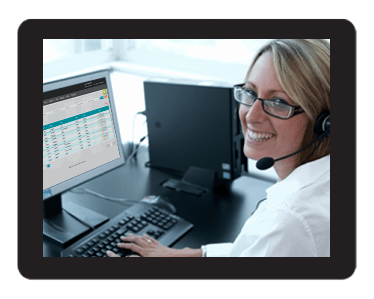 On request – and only in this case – Aesis Conseil technical support performs maintenance directly on any of your tablets. 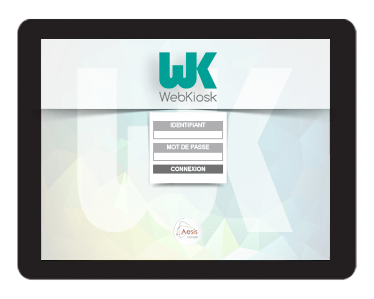 WEBKIOSK ANDROID IS DELIVERED PRE-CONFIGUREDBefore installation, we take care of collecting your needs in order to create tailor-made settings. You can then modify the settings yourself.